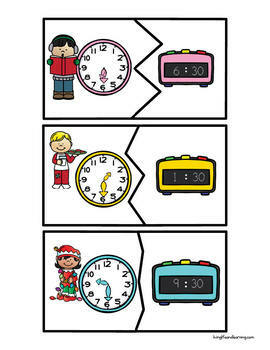 Are your students learning about time? 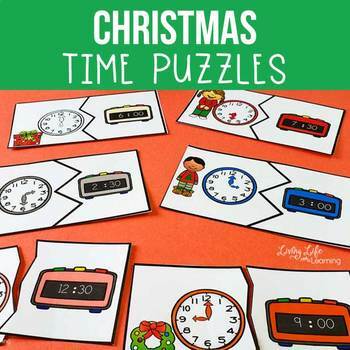 These Christmas time puzzles will make learning to tell time tons of fun! No more boring worksheets! 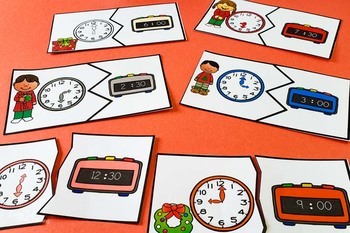 You can laminate them and cut them up so that they can be reused again and again. If they're not sure of the answer, they can see if they can find the match for it. 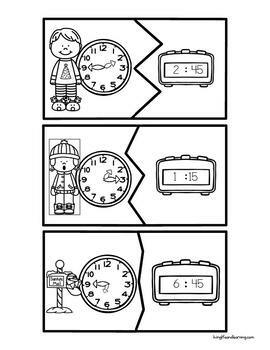 There are puzzles for the hour, half hour and 5 minute intervals. This set comes with both color and black and white puzzles.